Sign-on Request Several groups have been working to organize civil rights comments to the Texas Plan for Disaster Recovery and are asking that you sign on in support of these. To read the letter and sign on, CLICK HERE. The deadline for signing on is COB, Monday, February 12. Texas’ plan will serve as a benchmark of sorts for how future disaster recovery plans for Hurricane Harvey will be drafted. Many of the civil rights issues identified in the Texas plan may also arise in the disaster recovery plans that other affected areas put together going forward as HUD continues to make funding allocations. Advocates must do all that we can to ensure that the civil rights concerns identified in Texas’ plan are addressed and that HUD takes seriously the civil rights responsibilities of its funding recipients as well as its own role in monitoring their use of funds. HUD posts Federal Register A HUD Exchange email sent Tuesday afternoon provided an advance copy of the long-awaited Federal Register notice that directs how Texas, Florida, Puerto Rico, and the Virgin Islands are to use their allocations of the $7.4 billion CDBG-DR funds appropriated on September 8, 2017. That advance copy was posted Wednesday morning as a Special Filing to the Public Inspection webpage of the Federal Register. The formal version is scheduled for publication Thursday. Budget Deal Includes Disaster Aid. The Senate reached a budget agreement that lifts the spending caps and provides disaster aid. If approved, Congress will be able to avoid a government shutdown when the current FY18 Continuing Resolution (CR) expires on February 8. A short-term CR is likely still needed to allow the Appropriations Committees to finalize FY18 funding bills with the new spending caps. The deal includes a total of $90 billion in disaster aid: $23.5 billion for FEMA Disaster Relief Fund; $28 billion in CDBG-DR, including $2 billion for Puerto Rico and the USVI to rebuild their electric grids; $15 billion for Army Corps; $4.9 billion in Medicaid funds for Puerto Rico and USVI with a 100% federal cost share; and $2.36 billion to provide disaster assistance for Florida citrus and other agricultural losses. The Senate may vote on the agreement as early as this afternoon, but passage in the House is uncertain. Members of Congress from both sides of the aisle had stressed the need for disaster recovery as part of a budget deal. Senator Bill Nelson sent a letter to Senate Majority Leader Mitch McConnell (R-KY) and Minority Leader Chuck Schumer (D-NY) calling on them to include disaster aid addressing the specific needs of Puerto Rico as part of any continuing resolution (CR) passed this week. Senator Nelson called for aid that included funding for Puerto Rico’s electric grid, waivers for federal cost shares, and resources to address the island’s Medicaid funding cliff, all of which were included in the Senate budget deal. DHRC Urges Disaster Aid. More than 340 national, state and local members of the DHRC issued a letter to congressional leaders urging the immediate passage of a robust disaster relief bill that includes basic safeguards and housing resources to help vulnerable populations recover and rebuild after the 2017 hurricanes and wildfires. The letter urges Congress to amend the House-approved disaster relief bill to stand up the Disaster Housing Assistance Program (DHAP), to collect and make public data to ensure that the recovery reaches all households, and to provide housing-specific resources to ensure that the severe shortage of affordable rental homes in disaster-impacted communities is not exacerbated. 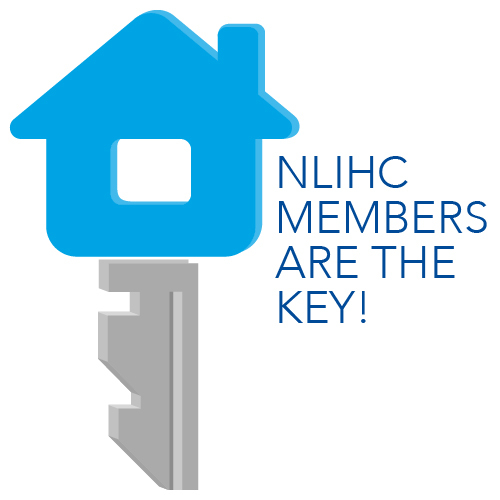 Please share NLIHC’s press release and continue to urge Congress to amend and pass the disaster supplemental spending bill. Request to Subpoena FEMA. Representative Elijah Cummings (D-MD) and Delegate Stacey Plaskett (D-USVI), members of the House Oversight Committee, sent a letter urging Chair Trey Gowdy (R-SC) to subpoena FEMA regarding a contract they made that failed to deliver the requested 30 million emergency meals in Puerto Rico. FEMA awarded a $156-million contract to deliver 30 million meals to Tribute Contracting, a one-person company. After twenty days, only 50,000 meals were delivered. The company had failed to fulfill previous government contracts that were much smaller. Members of the committee had requested in October documents from FEMA to determine the reasons for and effects of the contract. Informal Housing in PR. Even before Hurricane Maria, Puerto Rico faced housing challenges. About half of the island’s 3.4 million residents lived in informal homes, constructed without permits or following building codes. To simply reimburse for the lost property would only encourage the rebuilding of substandard housing, but to “build back better” will require a massive investment, especially because the majority of destroyed homes lacked hazard or flood insurance. Governor Rosselló is asking for $46 billion from HUD–an amount far greater than any previous allocations–since the government’s billions of dollars in debt limits their ability to fund recovery. Appealing FEMA Decisions. Legal Services of Greater Miami has helped several residents in the Florida Keys appeal their FEMA decision or insurance claims. It has helped individuals obtain rental assistance and money for lost personal property, despite initial denials from FEMA. The nonprofit’s services are free to those qualifying under income limits.